WASHINGTON, DC, November 30, 2012 (ENS) – Sixty-six species of coral in U.S. waters should be protected under the Endangered Species Act because global warming, disease and ocean acidification are pushing them toward extinction, the federal government proposed today. Under the rule proposed by NOAA Fisheries, 12 species of coral would be listed as Endangered and 54 as Threatened. Listing species as Endangered does not prohibit activities like fishing or diving, but prohibits the specific “take” of those species, including harming, wounding, killing, or collecting the species. It also prohibits imports, exports, and commercial activities dealing in the species. Listing would mean habitat protection, recovery planning and prohibition of federal actions that could jeopardize the corals. 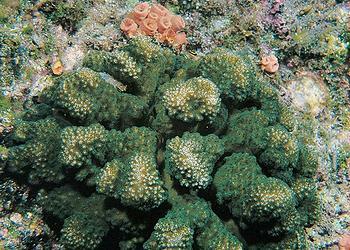 The listing proposal responds to a 2009 scientific petition by the Center for Biological Diversity seeking federal protection for 83 corals in U.S. waters. NOAA determined that protection for 16 of those species is not warranted. Of the 66 corals covered in NOAA’s proposed rule, seven live in Florida and the Caribbean. In these waters, five corals would be listed as endangered and two as threatened. The other 59 species proposed for protection live in the Pacific, including Hawaii. In the Pacific, seven species would be listed as endangered and 52 as threatened. NOAA Fisheries is also proposing that two Caribbean species – elkhorn and staghorn corals – already listed under the ESA be reclassified from threatened to endangered. “Corals are facing severe threats, and it’s highly likely that these threats will increase over time,” NOAA said in its proposal. The agency notes that coral cover in the Caribbean has declined from 50 percent in the 1970s to less than 10 percent today. The agency identified 19 threats, including: rise in ocean temperatures, ocean acidification, disease, ecological effects of fishing, and poor land-use practices. The proposal comes after NOAA determined in February 2010 that the Center had presented “substantial information” that listing under the may be warranted for 82 of the 83 petitioned species. NOAA convened a Biological Review Team to conduct a formal Status review of the 82 species; the team released its peer-reviewed report in April 2012 summarizing the best available scientific and commercial information. One independent study cited by NOAA reports that coral reefs provide approximately $483 million in annual net benefit to the U.S. economy from tourism and recreation activities and a combined annual net benefit from all goods and services of about $1.1 billion. NOAA also estimates the annual commercial value of U.S. fisheries from coral reefs to be more than $100 million; reef-based recreational fisheries generate an additional $100 million annually. The agency engaged the public between April and July 2012 to gather scientific information and allow for a public review of the Status Review and Draft Management Reports. Information from this process was was summarized in a new Supplemental Information Report. Together, the Status Review, Supplemental Information, and Final Management reports form the basis of NOAA’s proposed listing of these 66 corals. 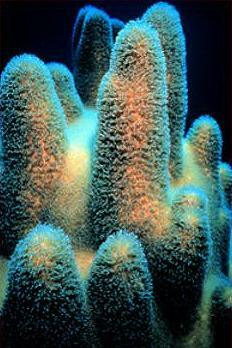 Click here for a list of all 66 corals. Before making a final decision on this proposal, NOAA is asking for more public comments during the next 90 days. To submit a public comment online go to www.regulations.gov and enter NOAA-NMFS-2010-0036 into the keyword search. for information on public hearings in the Pacific islands or Southeast regions to be held in January and February 2013.
to join the national stakeholder webinar on December 19, 2012, at 4:00PM EST. to join any of several webinars, to be announced.